2013-11-29 by Alessandro Pasotti filed under MSP430 MCU, Programming. This short tutorial is about getting started with the development of OpenChronos NG firmware for the eZ430Chronos watch under Ubuntu Linux LTS. 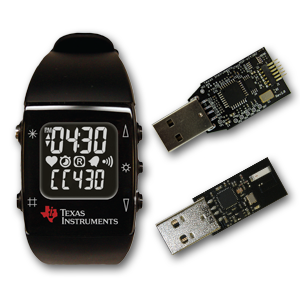 This nice development tool in a watch was also described in my previous article: https://www.itopen.it/2013/11/28/the-hackable-watch-a-wearable-msp430-mcu/. Now we will add some code into the hello module, this is the content of the files: The .cfg is just a configuration file for make config, that allows you to select if the module has to be built. Now launch make config and choose to build Hello module (it should be selected by default), then save. The new firmware is named “openchronos.txt” and you can find it in the same folder, now you can upload it using the control center as explained in the user guide (see documentation in http://www.ti.com/lit/zip/slac388).